Filed to: Vaughn Gittin Jr.Filed to: Vaughn Gittin Jr. 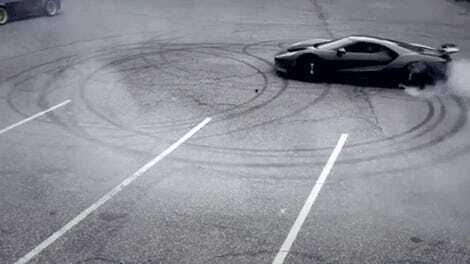 I remember I tried drifting the entire length of the Nürburgring in Forza once. I rage-quit an eighth of the way through. 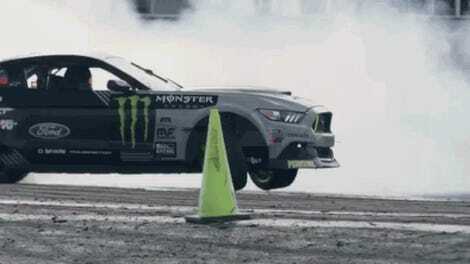 But apparently, if you’re professional drifter and Formula Drift champion Vaughn Gittin Jr., you don’t need an Xbox. You can do the real thing in a 900-horsepower, modified Ford Mustang. Recently, Gittin Jr. and a bunch of filmmakers, support staff and logistics management people went to Germany for a run of the Green Hell. He was able to drift the entire 12.9-mile length of the Nordschleife in his supercharged Mustang, which makes between 700 to 900 HP. For once, this is a lap of the ‘Ring that I actually care about. It wasn’t about crap like setting the fastest lap time or beating your rival by a few tenths of a second so people who buy your car can brag. It was about doing the whole thing sideways and making a whole lot of smoke and noise. 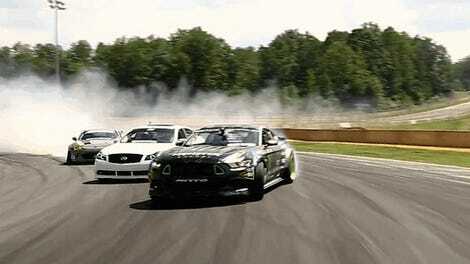 Here’s a video of some of the drifting. It looks like it’s from a video game. In the comments in his Instagram post, Gittin Jr. said that the lap “took a few sets” of tires, which probably means that he didn’t do the whole thing in one go. That’s not surprising, I didn’t think one set of tires would be able to hold up for that long. This is the first of four videos documenting the stunt, with another, longer one coming at the beginning of October. I’ve asked the Ford people if that means they’ll show us all 12.9 miles of this drift, because that would be awesome. But until then, we’ve got this.